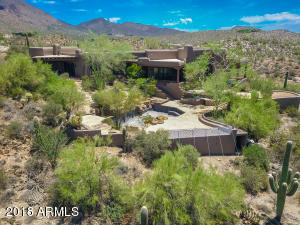 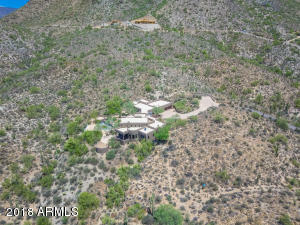 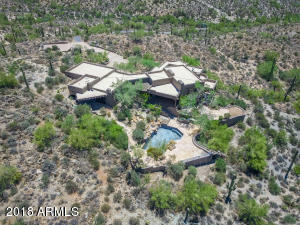 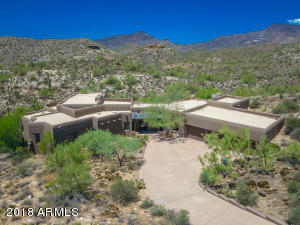 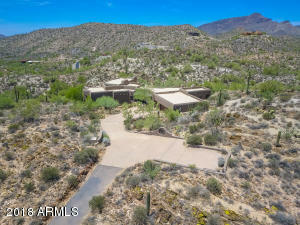 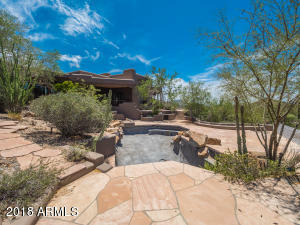 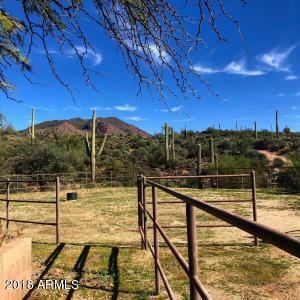 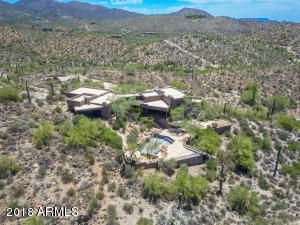 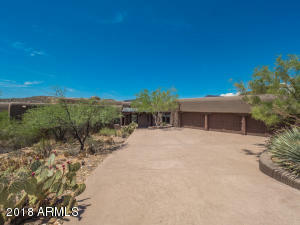 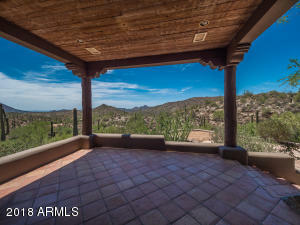 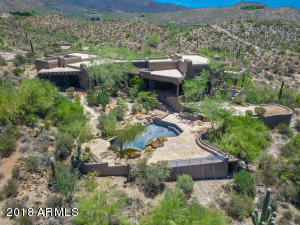 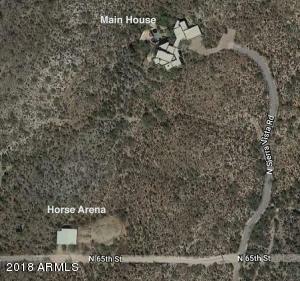 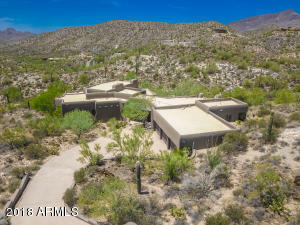 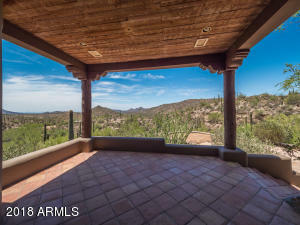 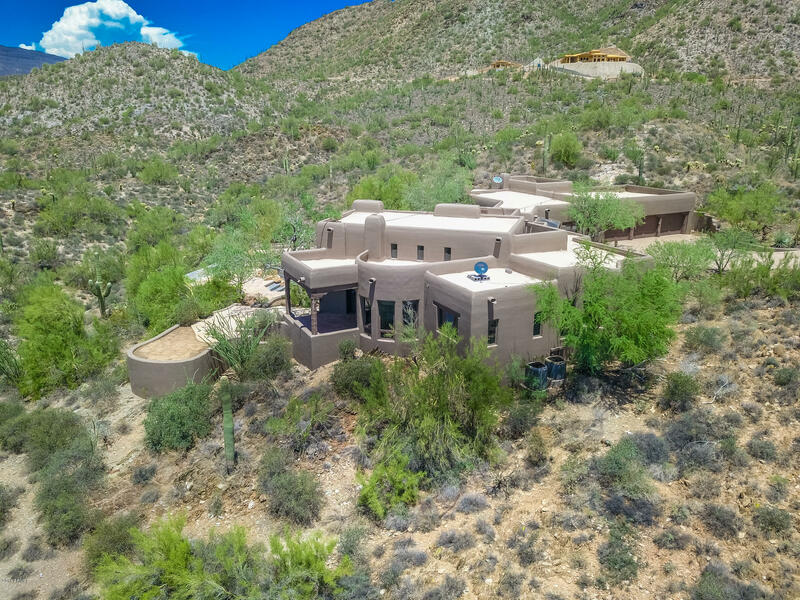 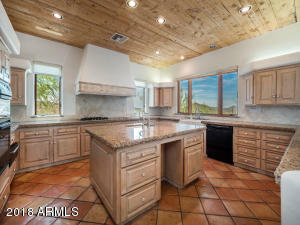 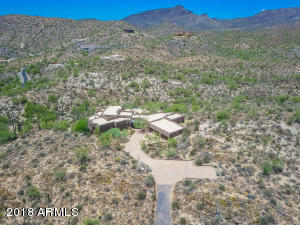 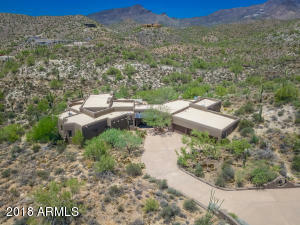 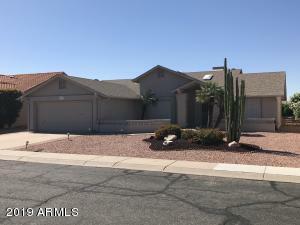 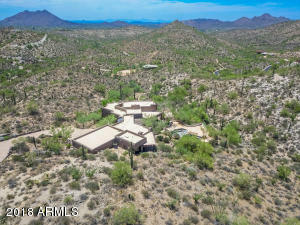 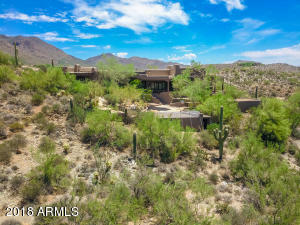 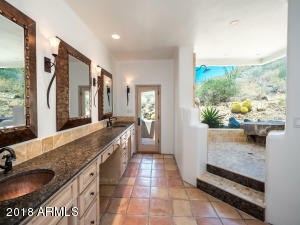 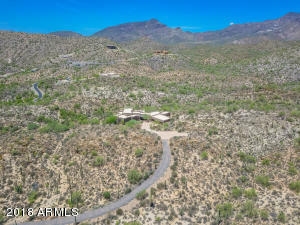 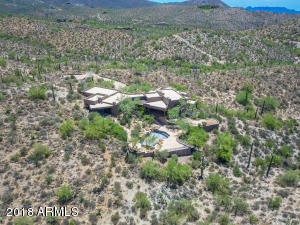 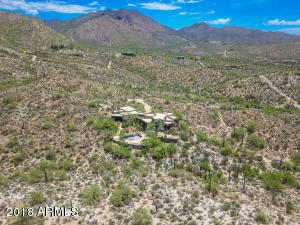 A spectacular privately gated equestrian property on over 46 acres of desert beauty and serenity yet minutes away from all the fun of Cave Creek town. 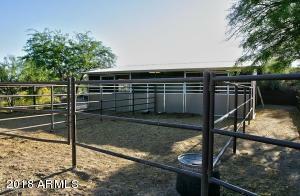 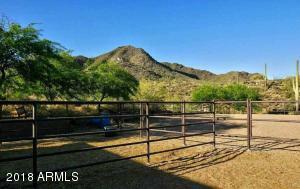 Complete equestrian set-up with three-stall riding stable, tack room, feed room, grooming area & arena. 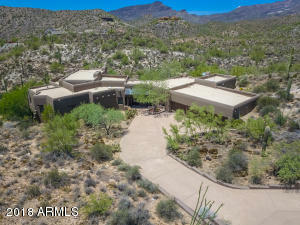 Paved access with a private gate. 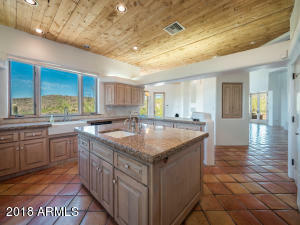 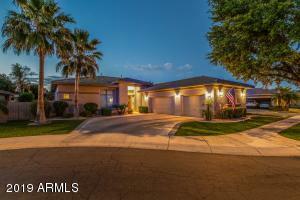 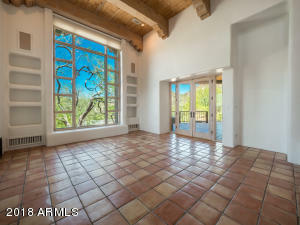 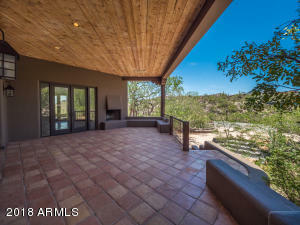 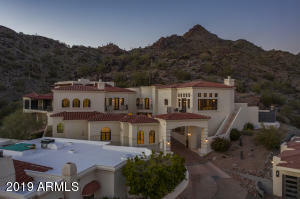 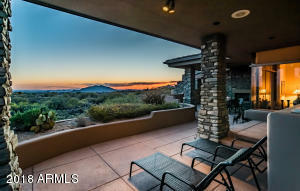 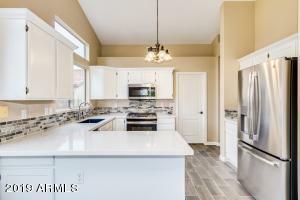 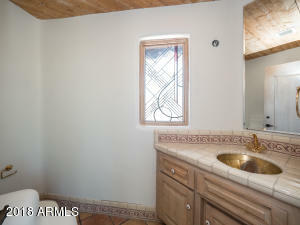 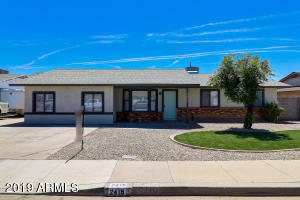 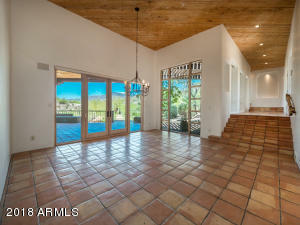 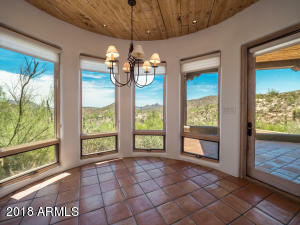 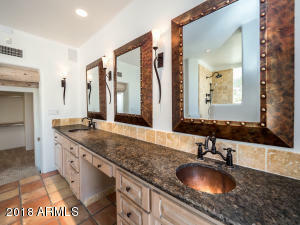 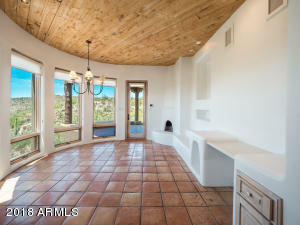 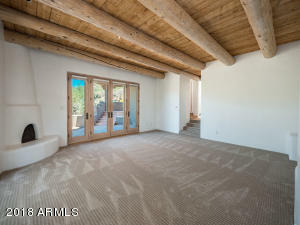 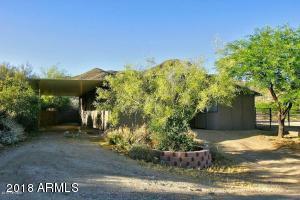 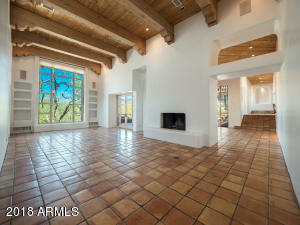 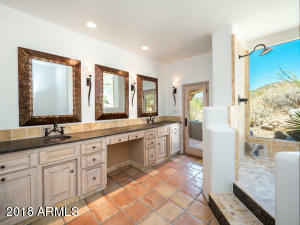 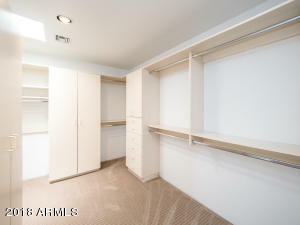 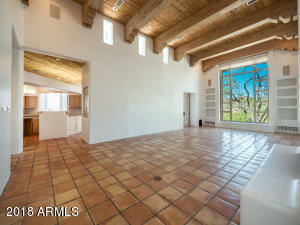 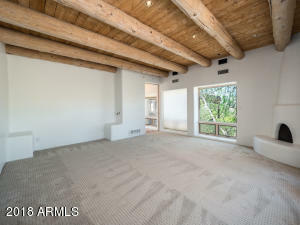 Santa Fe style home perfectly situated to capture beautiful sunsets & city light views. 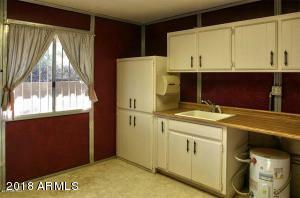 Great split floorpan. 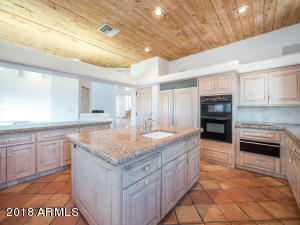 Chef's kitchen. 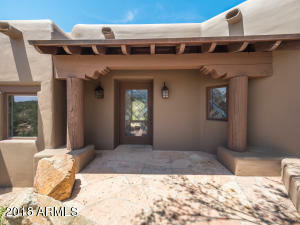 5 masonry fireplaces. 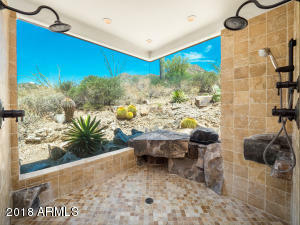 Heated black-pebble tec pool with natural stone waterfall, a large sundeck, and a built-in BBQ. 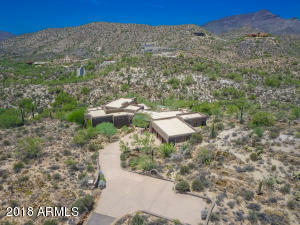 List price includes over 46-acres on 5 parcels. 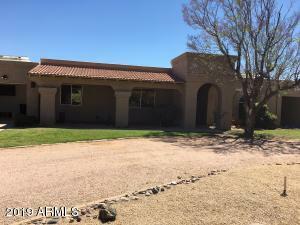 ONE OF A KIND OPPORTUNITY! 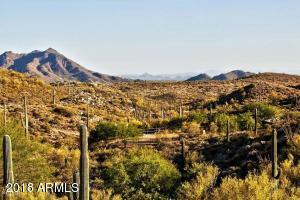 North on Schoolhouse Rd. 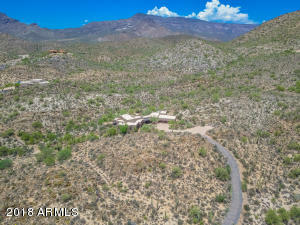 Right on Fleming Springs Rd to left on Echo Canyon Rd which becomes Sierra Vista Road. 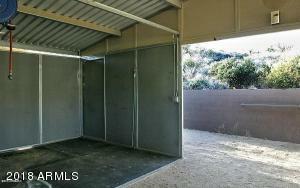 Second private gate on left is access .